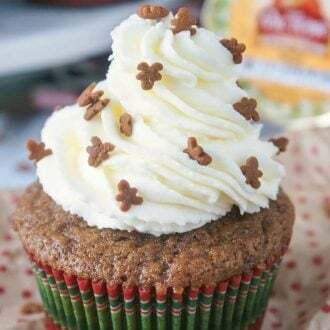 Fluffy gingerbread cupcakes topped with a silky honey buttercream frosting and finished off with sprinkles! For me there’s nothing that screams “Happy Holidays” more than Gingerbread. It’s seriously the best. The instant I take a sip of that first Gingerbread Eggnog Latte of the season, the holiday spirit hits me! You guys might remember my White Chocolate Covered Gingerbread Whoopie Pies with Honey Buttercream from last year, they’re my favorite whoopie pies to date! Well, you guys know how much I love cupcakes, right? 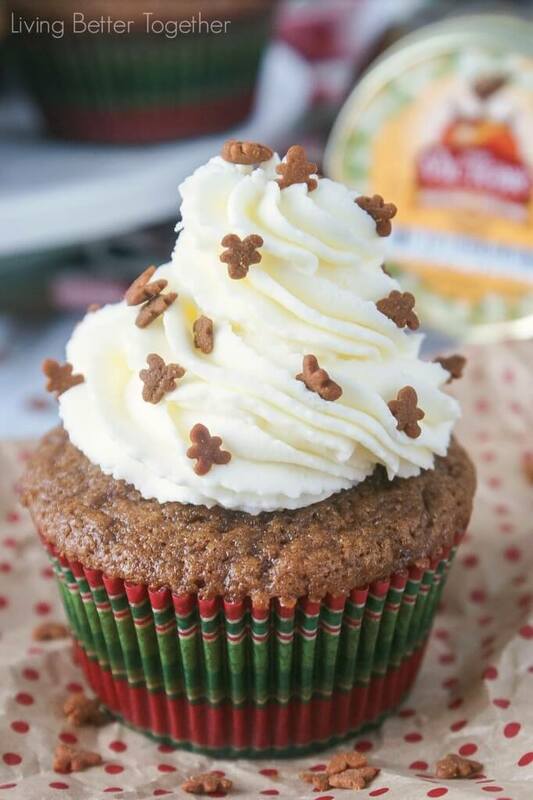 So I decided to do another play on the gingerbread and honey combo and make some cupcakes this year! 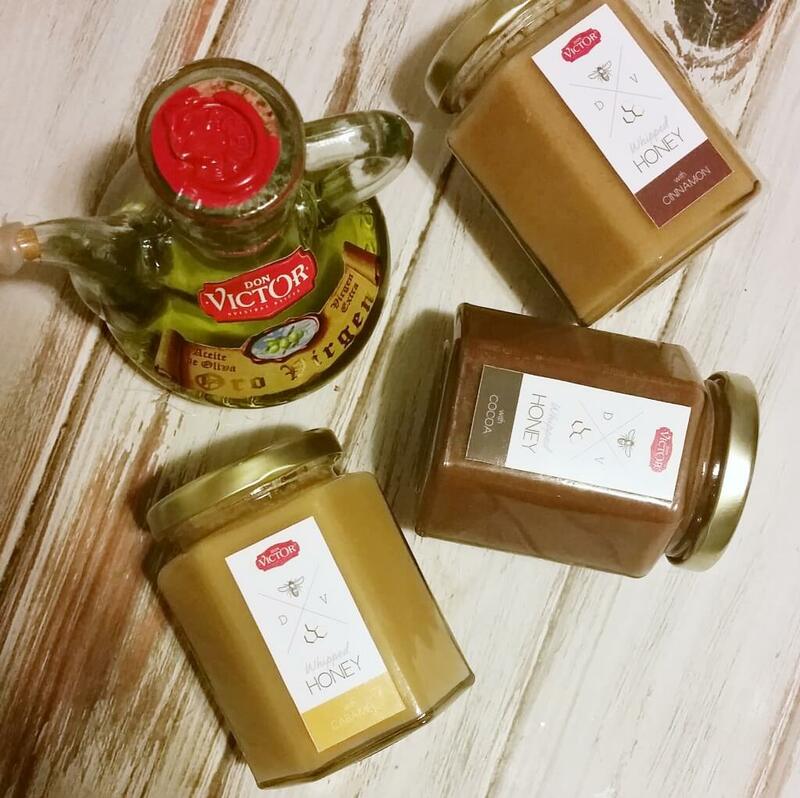 I recently stumbled upon Don Victor Honey it’s a premium quality honey with ACTUAL HONEY COMB IN THE JAR! The honey comb gives it a superior taste and a whole new level of fun! Yes, fun, little stuff like this makes me geek out over food. Seriously though, how cool is it that the honey comb is actually in the jar! 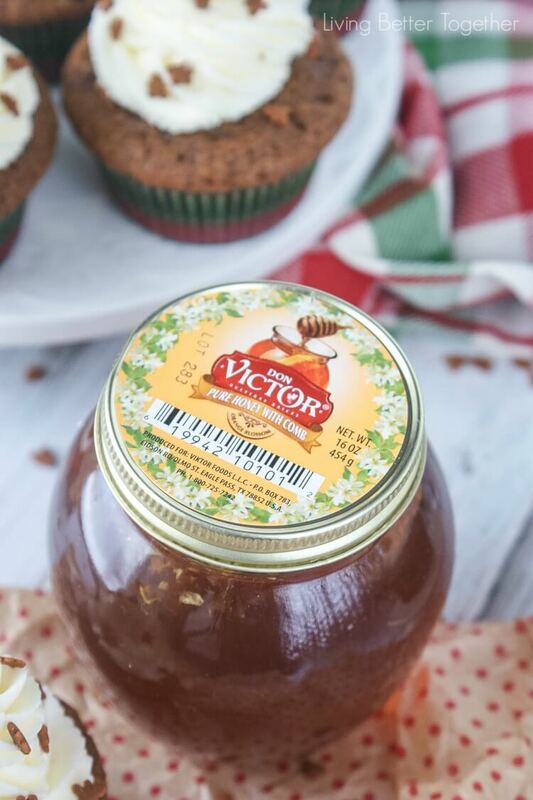 This honey was the perfect addition to the buttercream for these fluffy holiday cupcakes! And what makes frosting and cupcakes better? Sprinkles of course, so don’t forget to add on some of those to finish ’em off! 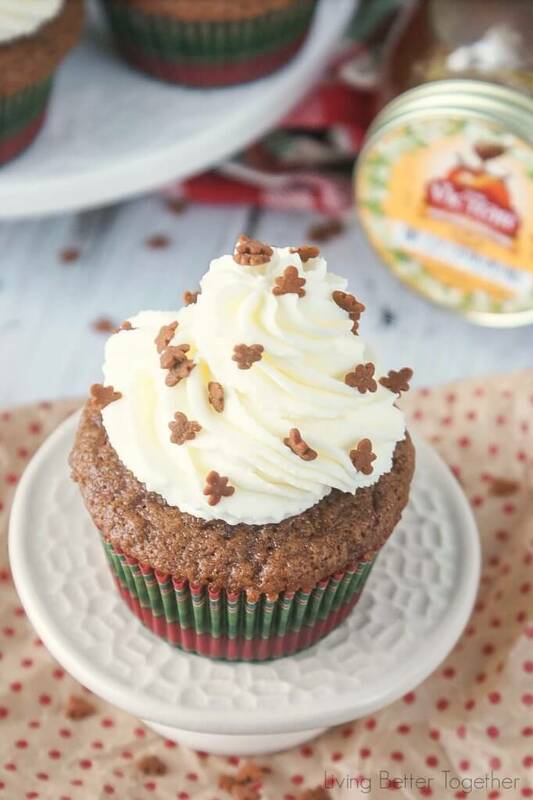 These are definitely the kind of cupcake you want to cozy up with in the winter time, so grab a cup of tea (with honey and lemon, of course) and put on your favorite holiday movie and just enjoy the season! Cream together butter and brown sugar in a large bowl or stand mixer. Add milk, molasses, and vanilla and beat until combined, batter will be lumpy. Slowly add dry ingredients to wet ones while the mixer runs on low speed. Fill cupcake liners 2/3 full with batter and bake for 19-21 minutes or until toothpick comes clean. Beat together confectioners’ sugar and butter on low for about 1 minute, increase to medium speed and beat for 1 more minute. Mix should be crumbly. Add heavy cream, honey, and salt and beat on high for about 3 minutes until smooth. Pipe frosting onto cooled cupcakes, add sprinkles and enjoy! Cupcake recipe adapted from Sally's Baking Addiction. I was excited to have the opportunity to try some great new products from Don Victor as well! These whipped honeys are wonderful and I’m particularly fond of the cinnamon, I bet it would be great worked into the buttercream on these cupcakes! 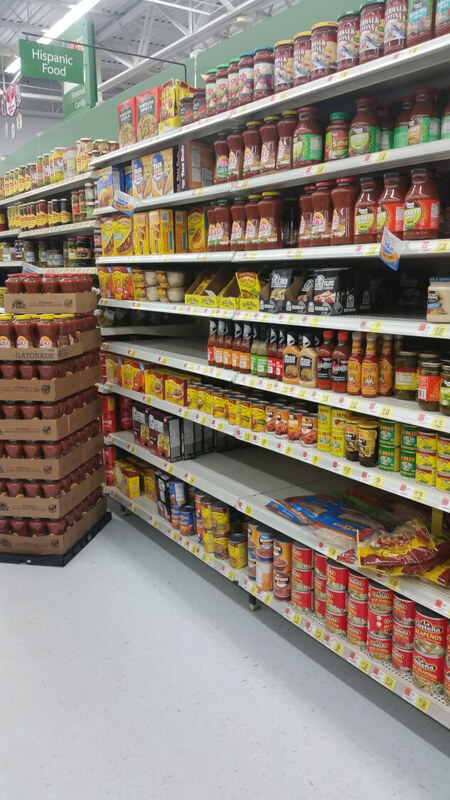 Find Don Victor Honey in the Hispanic Food aisle at Walmart.